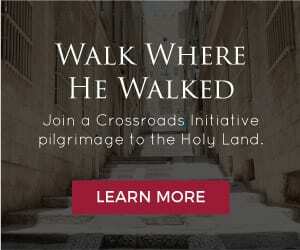 Pilgrimage in the Bible and Christian history — just what it is, why is it important, and what is the value and power of a pilgrimage that distinguishes it from any other journey or vacation? Salvation history is the story of a pilgrimage. Abram journeys from civilization to the desert, Moses from the Pharaoh’s palace to a mountaintop. The people of Israel repeat Moses’ journey, and then are led through the desert to the Promised Land. All these journeys have a few things in common. God inspired each of them and accompanied the travelers on their way. Through the journey, He changed them. At the destination, He blessed them. When Israel finally settled in the land, God wanted to constantly remind them that they are perpetual pilgrims in this world and that He, not the land, is their true inheritance. So the Lord made Jerusalem the seat of his special presence on earth and commanded them to journey there three times a year to worship him with feasts of thanksgiving, such as the Passover. The public ministry of Jesus takes place against the background of these constant pilgrimages. Finally the already Holy City became even holier, sanctified forever by Christ’s blood. 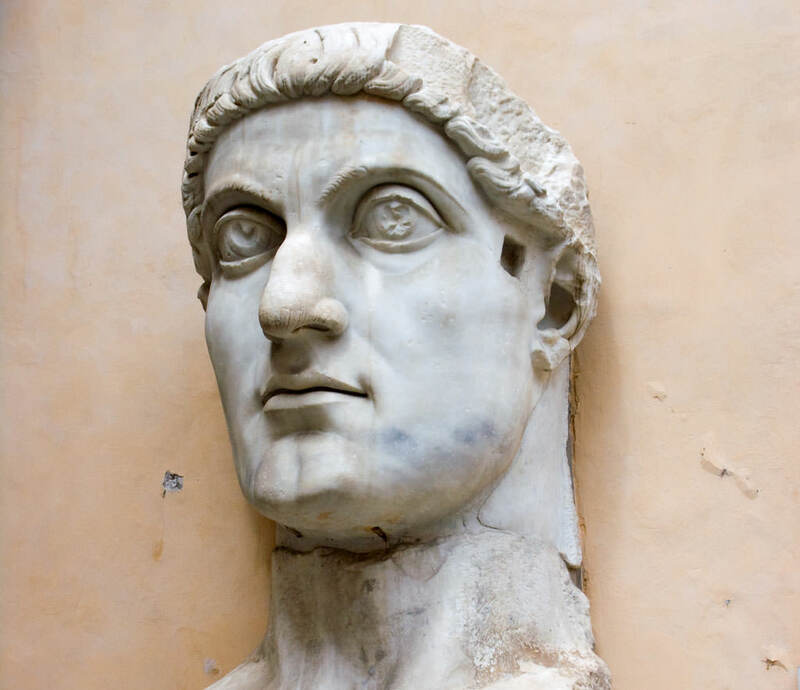 When Constantine became emperor in 312 AD, the first priority was to decree religious freedom. But the next priority was to send his mother on pilgrimage to the Holy Land where she had churches built that are still visited by pilgrims today. Next he built churches in Rome over the tombs of Saints Peter and Paul to welcome the pilgrims from all over the empire who would come to honor these two apostles of the Lamb. Ever since, Christians have braved all sorts of difficulties and road hazards to visit Jerusalem, Rome, and the sites of Marian apparitions. They have come not as tourists, but as pilgrims. There is a difference! 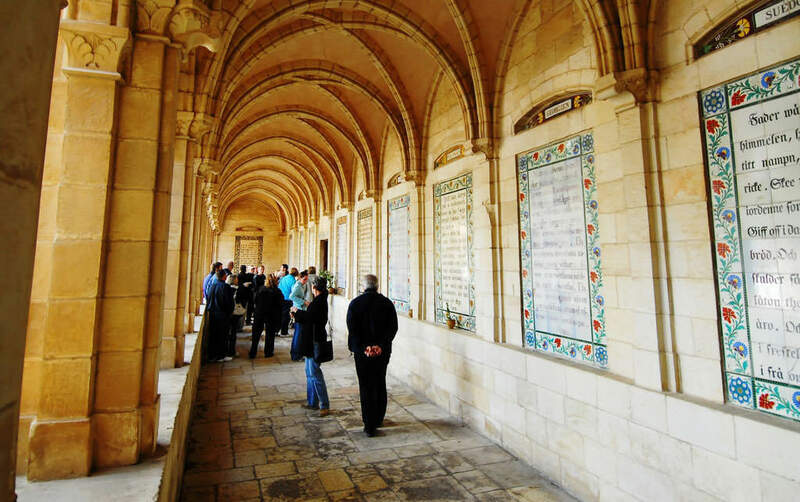 Of course a pilgrimage usually includes fun, learning, shopping, and good food. But it is not primarily a vacation. The ultimate goal is not recreation, but re-creation. It is a journey of devotion, undertaken by the prompting of the Holy Spirit. The purpose? – to worship God, do penance, and be transformed. Pilgrimage to a holy place is so spiritually powerful that, under the Old Covenant, it was commanded. Though not commanded today, it is so highly recommended that the Church offers a plenary indulgence to all those who answer the call. I was a college student when I was first invited to make a Holy Year pilgrimage to Rome. Initially, I brushed off the suggestion as ridiculous. I was broke, like most college students. Besides, the pilgrimage took place during final exams. But I felt an inner tug that I thought just might be the Holy Spirit. I had been struggling with a holier-than-thou attitude that I just could not overcome. I had been pleading with God to help me. Maybe, I thought, this pilgrimage is his answer to my prayer. So I spoke to my professors. They gladly rescheduled my exams. I began cobbling money together. Soon there was enough. I decided to go and make the trip a penitential pilgrimage, seeking the grace to change. It was an amazing adventure. The experience of Rome bonded me to the Catholic Church, its heritage and its rich tradition, in a very profound way. It whetted my appetite for learning. Some friendships were deepened – many new friends made. But the most important thing was a gift of special grace which I received when I least expected it. Very early one morning, before St. Peter’s was filled with tourists, I spent some quiet moments roaming through the crypt. I felt moved to kneel down to pray at one of the tombs and there received a touch of God that I will never forget. The tomb was that of the now Blessed John XXIII, who had a remarkable gift of humility and a unique ability to make people feel loved, affirmed, and appreciated. These gifts were exactly what I had lacked and had been praying for. Some measure of this spirit was shared with me that day and I was changed. The following year was among the happiest of my life. I’ve since led nearly 1000 people on pilgrimage to Rome and the Holy Land. I’ve seen countless miracles, even physical healing. As pilgrimage leader, I am responsible for a million practical details. As you might imagine, this is quite a distraction! Nevertheless, there is always a special moment when God touches me in a very deep and new way and I go from pilgrimage director to pilgrim. The Holy Land brings scripture alive. After going, you never read the bible the same way again. Rome knits you to the universal Church and the heritage of the saints in a way that’s hard to describe. The medieval charm of Assisi, the beauty of Lourdes at the foot of the Pyrenees Mountains – these special places impart an atmosphere of serenity and draw one to prayer. But pilgrimage is about more than the place. It is about the grace. A special grace, custom-designed for each pilgrim by the Holy Spirit, imparted in God’s perfect time. This is the greatest reason to listen for and respond to God’s call to pilgrimage.